Please contribute so the Chamber can keep providing events Easter Hunt, Arts & Crafts Show, Santa Bucks Giveaway and Santa Treats. Thank you. 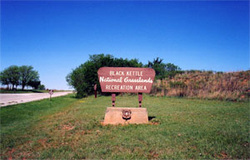 Black Kettle National Grassland covers about 32,000 acres in western Oklahoma and 2,000 acres in Texas and is home to deer, turkey, and quail hunting. 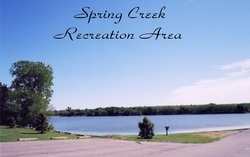 Recreation areas have been developed around Skipout Lake, Spring Creek Lake, and Dead Indian Lake in Oklahoma and offer fishing, boating, camping and picnicking. The area provides opportunities for backpackers, hikers, bird watching, mountain biking, and motorcycle and jeep trails. Most areas have been renovated for all accessibilities and have a number of areas to park a camper trailer or you can always pitch a tent. Check the US Forest Center site for more infomation. 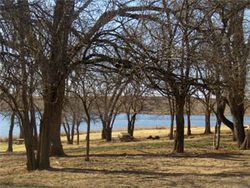 Spring Creek Lake is located 14 miles north of Cheyenne on US 283 and 8 miles west on SH-33. It is open Year round with50 acres of grasslands, picnic area, outdoor grills, drinking water, fishing & boat ramps with docks, swimming area, 8 primitive sites, & clean restrooms. Call 580-497-2143 for more information. Dead Warrior Lake (Locals refer to it as: Dead Indian Lake) is located 11 miles north of Cheyenne on US 283. It is open year round. It encompasses 80 acres, grassland, picnic tables, fireplaces, fishing piers, swimming areas, 12 primitive sites, clean restrooms, boatramps, docks, and a nature trail. Call 580-497-2143 for more information. Even in the fall Skipout Lake is a peaceful environment where you can enjoy the clean amenities all Blackkettle grounds possess. 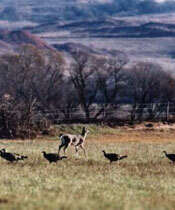 Located 10 miles west of Cheyenne on SH 47; or 2 miles south and 3 east of Reydon. 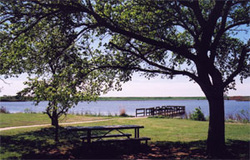 Open Year Round the area provides picnic areas, outdoor grills, boat ramps & docks, 8 primitive sites, and clean restrooms. Call 580-497-2143 for more information. 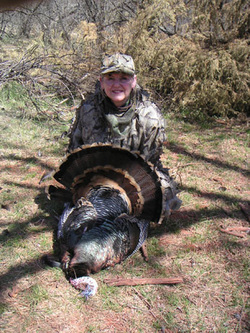 ​On the Cibola there are hunting opportunities for deer, elk, antelope, and turkey. There are birdwatching opportunities as well as the hiking, biking, camping, and many more outdoor activities. See the US Cibola National Forest site for more information.